Tensions between landowners and some hunters were on display at the state Capitol in Bismarck Thursday, as the House debated a measure that was designed to get the landowners and sportsmen to the table to work out some of the issues. But in the end, the House passed a measure that was substantively changed from what the Senate had approved and a House committee endorsed. The bill would have created a data base, showing which lands were open to hunting, and which were not. It also would have established a “land access” committee – made up of landowners and hunters – to make some recommendations to the 2021 Legislative session. But after a Parliamentary move to “divide the question” – that is, to vote on two separate parts of the bill – those portions were removed. The chairman of the House Agriculture Committee – Rep. Dennis Johnson (R-Devils Lake) – argued to keep the bill whole. "There have been comments on, 'Why don't we study this?'" Johnson told his House colleagues. "I've been here 28 years, and the same issue has come up every time I've been here. 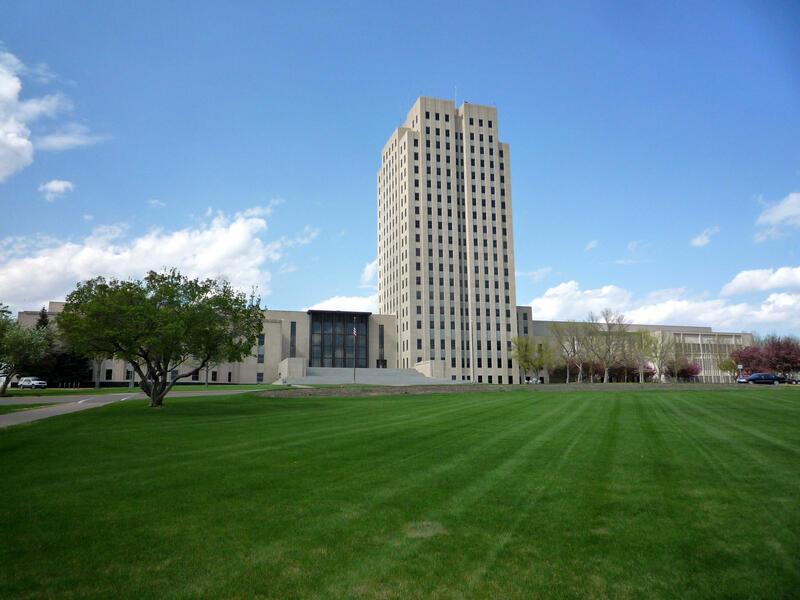 I think it's time we take a stand and pass something that works for everybody in North Dakota, be it landowner or hunter." Opponents of what remained measure worried that – in its present form – it would end hunting rights. But Rep. Kathy Skroch (R-Lidgerwood) told the House it would lead to conversations between landowners and sportsmen. She said passing the bill as it is could also lead to further work in a conference committee. "It's been said this can has been kicked down the road," Skroch said during floor debate. "What my landowners are telling me in my district is that 'We're going to take that can, we're going to fill it full of cement, and put a No Trespass and No Hunting sign on it, and lock this land up so tight that no one will have access.' I hope that's not the case." The bill passed 55 to 38. And it goes back to the Senate.